Started working in glass in 1975 at California College of Arts and Crafts (now CCA) in Oakland, CA. 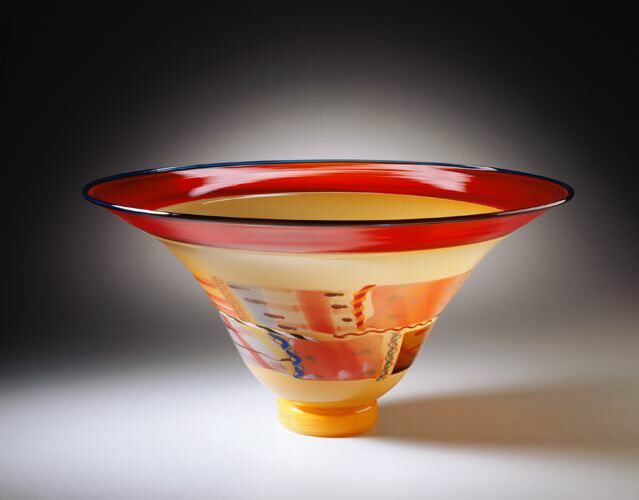 Bruce Pizzichillo began his glasswork in 1975 at CCAC and finished in 1980 with a BFA in glass. In 1984 he established Pizzichillo-Gordon Glass Studio with his wife and partner Dari Gordon in Oakland CA, making it the oldest running glassblowing studio in Oakland. In 1988 he was the recipient of a fellowship to Creative Glass center of America, Wheaton Village, NJ. Bruce served as President of the non-profit Jazz in Flight, an organization for jazz music production and free children’s music classes from 1999-2005. 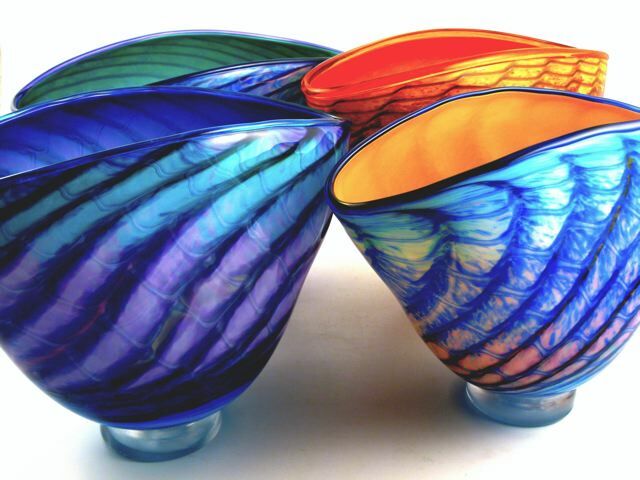 His work has been featured in numerous publications and books such as Lark Books’ 500 Glass Objects, as well as being in several private, corporate and museum collections such as Pew Charitable Trust, Philadelphia PA; U.S. Embassy, Ottawa, Canada; Museum of American Glass, Millville, NJ; Bellevue Art Museum, Bellevue, WA. Bruce was featured annually for 17 years in Glass Now, a traveling exhibit of American glass art sponsored by the Yamaha Corporation throughout Japan. HI Bruce, your work looks great. Love reading that you have the oldest running glassblowing studio in Oakland. That’s quite an accomplishment! It’s about time I got over that way- I’d love to see you. And if you ever get out this way, let me know.